Putting Your Child in the Middle of the Story with "The Magic of My Name"
There's nothing like snuggling up with my son to read a good book! If there's one thing that tops a good children's book, it's one that a child can actually relate to on a personal level. Now there are many ways in which this could be accomplished. For instance, perhaps they can connect to the protagonist in some way. Maybe the reader looks like the main character or even shares the same name as them. That's why I love books that can actually be personally customized for my own child. 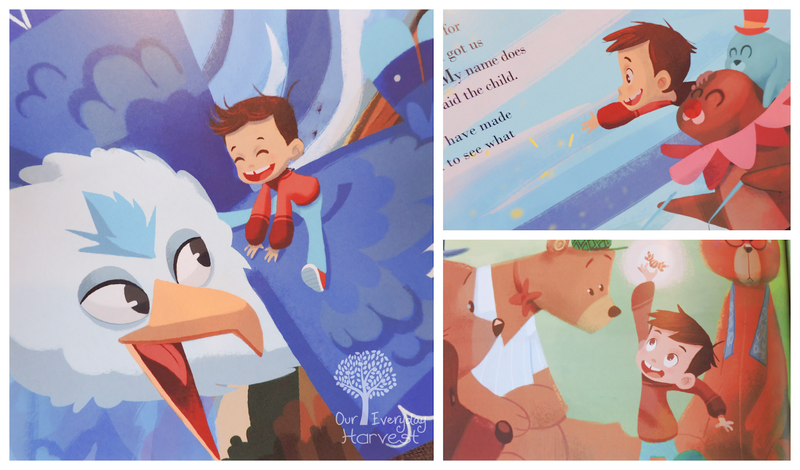 Recently, we received a beautiful picture book that offers this special feature. It's called The Magic of My Name, and in case the title didn't give you a hint, this book–story and all–can be personalized with a child's very own name. What's more, is that my son is the actual star of the story! It doesn't get any better than that! 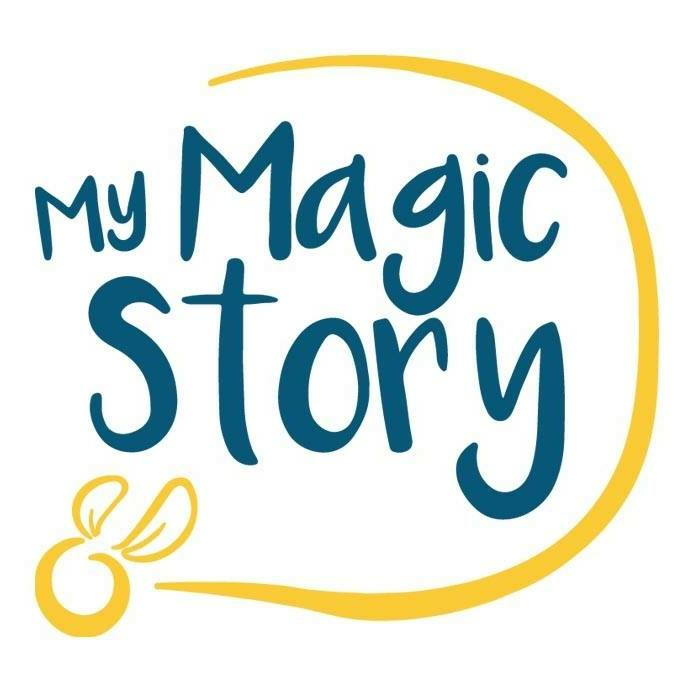 The Magic of My Name makes every child feel as though the book was written specifically about them. 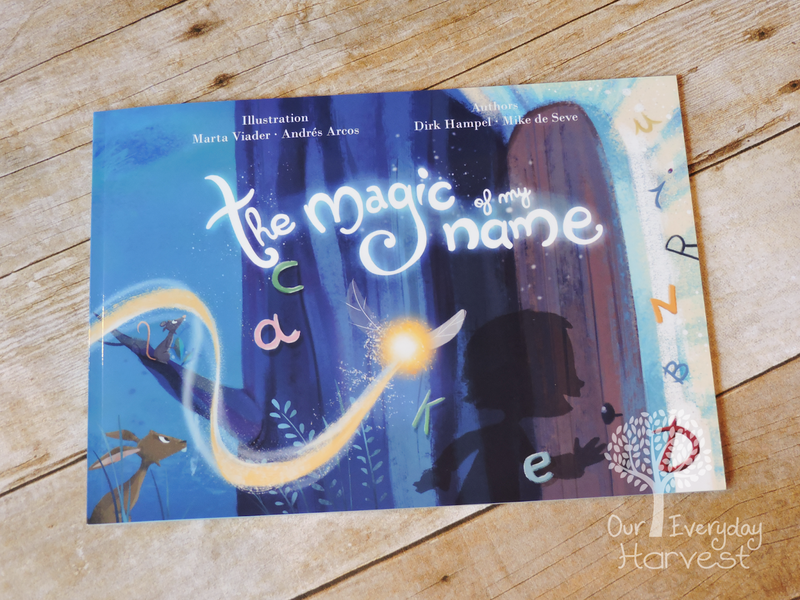 It's a wonderfully written story that takes children on a magical adventure to discover what their name really means, breaking apart each letter at a time. As the story goes on, a letter in the child's name is mentioned and then connected with a positive character trait that fits into the overall theme of the story. In the book we personally received, a little boy asks his mother about the meaning of his name. His mother promises that it has a special meaning, but since it's way past his bedtime, she will have to tell him all about it another day. Shortly after the lights go out, he is greeted by a fairy that invites him to come along to learn all about his name. He's soon transported to different lands and meets the most unlikeliest of creatures. He makes such an impact wherever he goes, and that is when he's introduced to all of the positive character traits that make him so special, each one beginning with a letter of his name. At the end, there is one final reminder on what each letter of the child's name means and how "fantastic" it is. My son is absolutely fascinated with the fact that he's in the story and that it's all about his name! As we read this, he enjoys locating every instance when his name shows up in the story text, or when one of the letters in it appears. We then enjoy discussing what each character trait means. It's also a great way to build upon a child's own self-esteem, given the fact that each trait (that begins with the letter of the name) is connected with an encouraging theme in mind. The illustrations are adorable and each page is filled with the most vibrant of colors. I really appreciate the thick, heavy weight pages with glossy print. As far as page numbers, this will vary depending on each individual child's name, since the story is customized based on this factor. The company does promise at least thirty-eight pages, and I can say that we received approximately fifty pages in my son's book. 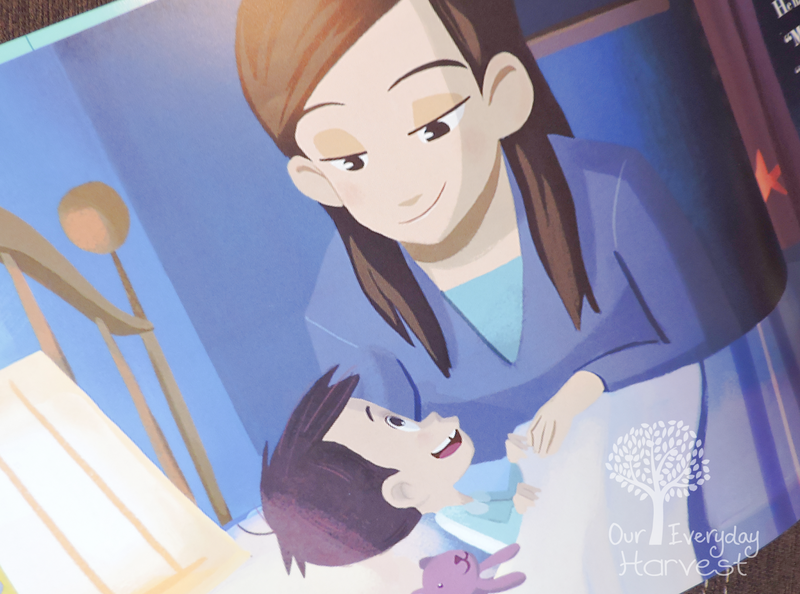 Here's a fun coincidence that wasn't planned–the mother in the book actually looks just like me. Both my son and I thought this was pretty neat. He likes to point at the mother in the story and say, "that's mommy!" He then points to the protagonist and says, "that's me!" Creating the book is as simple as can be. 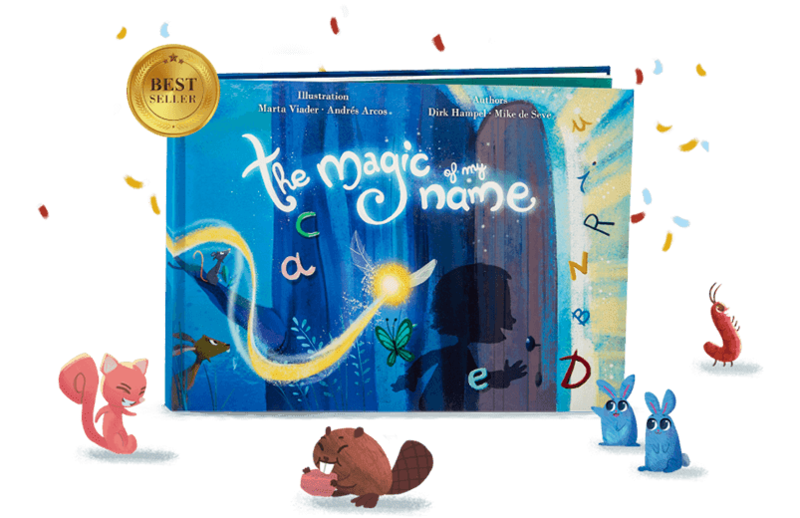 Once you visit The Magic of My Name website, the first choice you'll be presented with is whether the book is being made for a boy or a girl. Once you choose, a window will pop up with five different appearance options for the character, so that you can pick the one that most resembles the recipient. You then type in their first name and hit "create my personalized book," which will take you to a page to preview the book online. There is also an option to pick the desired language of the story's text. You have eight choices to choose from, English (US), English (UK), Spanish, Catalan, French, German, Italian, and Dutch. 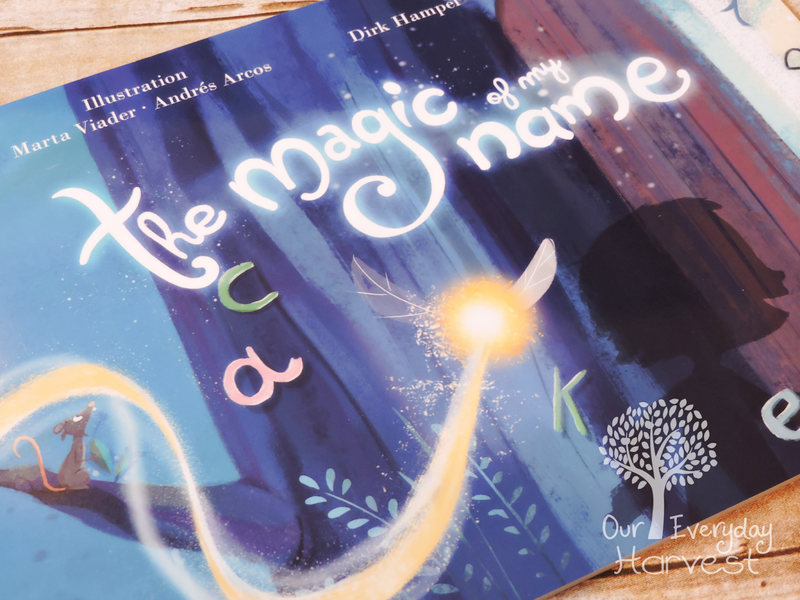 As if it couldn't get any better than personalizing the main character and his or her name to match your child's, there is even a special option to have your own dedication displayed in the beginning of the story. This is offered at no additional charge, and I think it's a fantastic feature that really adds to the heartwarming nature of this book. On the order preview page, you will be offered the option to type in the special dedication of your choice. 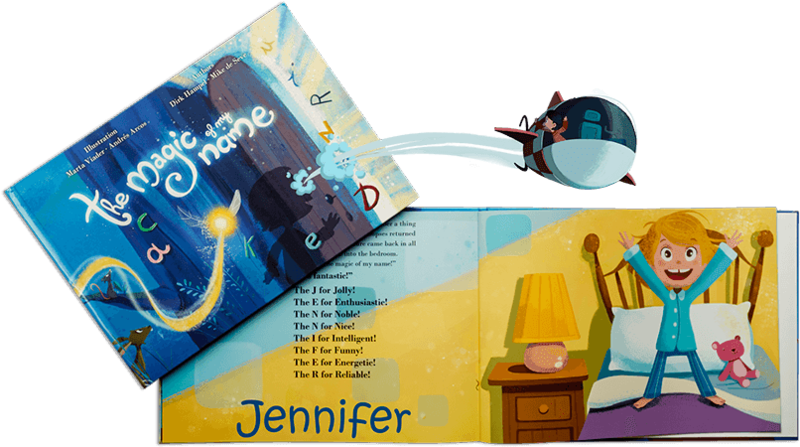 After you finalize all the fun details to make your child's book as special as can be, you then submit the information and do one final digital preview of the book to make sure it looks just the way you want it to. It's a very simple order process and the book comes out so beautiful! What's better, is the look on your child's face when they not only see themselves in the story, but realize that it's all about their own name. It's quite magical to say the least! There is a broad recommended age group for this book that spans from younger than a year old to eight years old. There may be a lot of text for a much younger child to read on their own, but as I had mentioned above, there's nothing like having a snuggle up storytime session with my little one. I enjoy reading this to my preschooler; it's such a uplifting moment for the both of us. This story is so special, that it will warm the hearts of both the youngest and oldest of children. My son just loves it, and we've actually been reading it over and over, again. 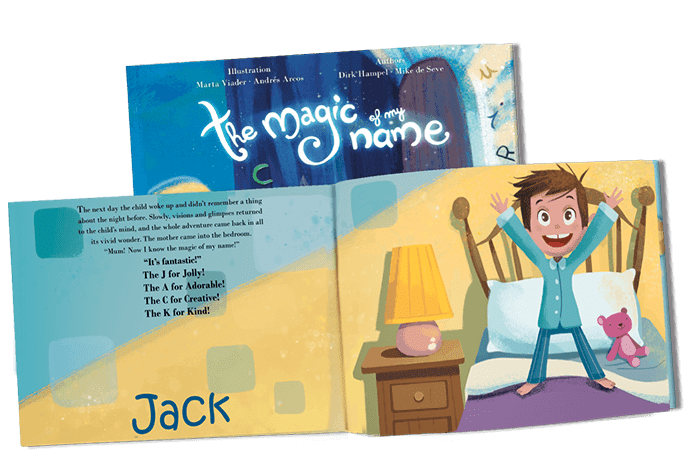 I suggest every parent, grandparent, aunt, or uncle consider making a personalized children's book for the little ones in their lives, and The Magic of My Name is a perfect option! 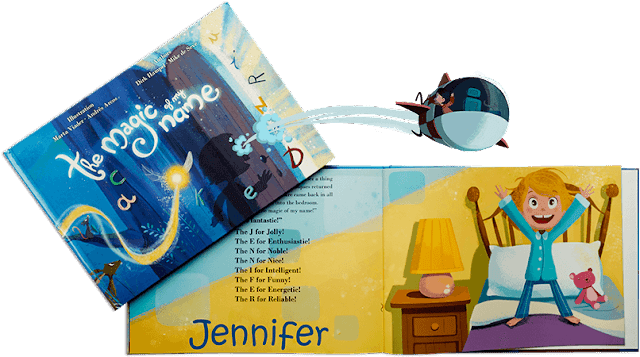 From personalizing the character features, the name, and even a special dedication page, this beautiful children's book would make a special gift that's guaranteed to hold its sentimental value as a family collectible for many years to come.